Management of breast cancer and treatment options were the focus of a medical symposium organized under the aegis of the Myanmar Oncology Society in January of 2017. Attended by 70 leading oncologists, surgeons and general practitioners of the country, it was moderated by Prof. Soe Aung, President of Myanmar Oncology Society and Honorary Professor Medical Oncologist of Yangon General Hospital. While the speakers presented studies on understanding the biology of tumors and various modalities for management of breast cancer, one thing that came through time and again in the discussions during and after the symposium is the plain lack of medication in the country, especially reliable quality cancer medicines. “It is heart breaking to hear stories of patients, young women, who sold everything they had and still could not afford the medicine,” said Amal Naj, Chairman of Paradigm Pharma, which sponsored the symposium. “If we cannot help these patients then how can we justify our existence as a pharmaceutical business,” he said. Paradigm has launched first of its cancer drugs in Myanmar that it is offering at deep discounts through select medical institutions under the company's Patient Access Program. The drugs are manufactured by Apotex Inc., a leading Canadian pharmaceutical company. 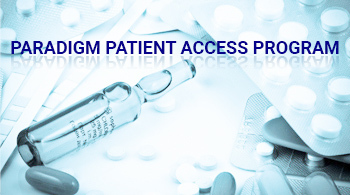 No Longer "Generics", But "Accessible Medicines"
Paradigm offers certain medications at deep discounts or free of charge to patients at or below poverty level. This program, best to the Company’s capacity, is offered only through hospitals and other accredited healthcare or government organizations in select countries. Eligible patients may contact a medical or an appropriate government institution to enroll in the program. Or they may write on their own or with the help of an advocate to Paradigm, which will endeavor to facilitate enrollment. Paradigm Pharma's portfolio of products includes pharmaceuticals as well as complementary nutraceuticals, food supplements and herbal medicines. Copyright © 2008–2017 Paradigm Pharmaceuticals Inc. All rights reserved. This site is intended only for residents of the United States. The products on this site may have different labeling in different countries.